What’s the Shift? 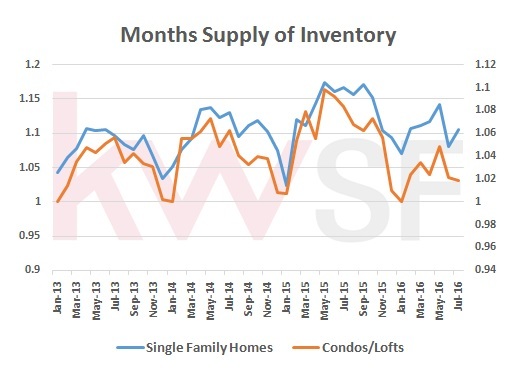 It’s the inevitable cyclicality of the real estate sales market. It is the constant tide flowing from a sellers market to a balanced market to a buyers market to a balanced market and back to a sellers market. In San Francisco and the Bay Area, we have been in a strong sellers market for the past three years. 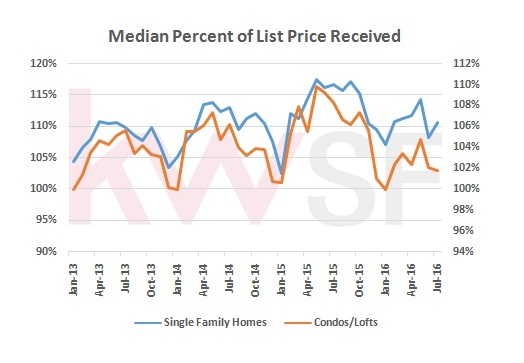 This year in San Francisco, single family home median prices peaked in February at $1,390,000 and have been trending down since then, currently at $1,335,000 in July. In a normal buying season, median price peaks in June or July (as it did in the past three years). 198 single family homes sold in July, down sharply from June’s 245, and also the lowest number of July sales in four years. 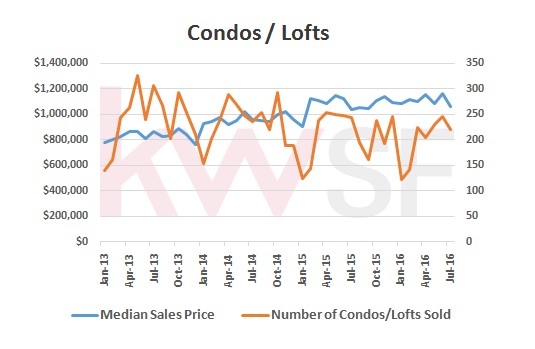 In the Condo/Loft market, median price has been bouncing around $1.1M for the past 16 months. This June’s $1,162,500 was the top so far (a fraction above last June’s $1,150,000), but it dropped sharply ($100,000!) in July to $1,062,500. Count on June being the top of the market for this cycle. 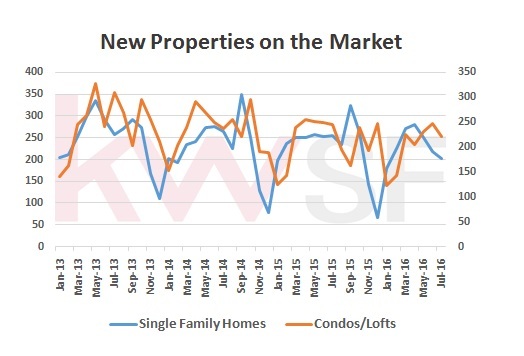 Mimicking the falling number of single family home sales, the 220 condo/lofts sold in July was also the lowest number of July sales for the past four years. Once the market has started shifting, the critical action is to get out ahead of a falling curve. A great question to ask is “How much of the gain from the last three years do you want to give up? Because in a down-trending market, that’s the cost of incorrect pricing – the longer the property is on the market, the more of that gain is lost. 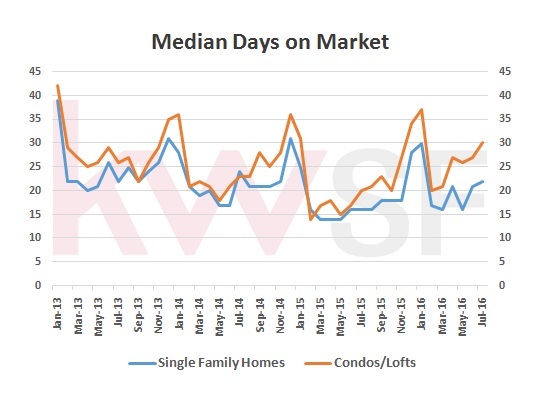 As in June, year-on-year Median Days on Market are up considerably for Resale Condos-Lofts clocking in this month at a 50% increase over July 2015. Likewise, Single Family Homes also continued the upwards trend , at 37% ahead of last July’s number. We still have a strong sellers market, but buyers are shopping more and standing on the sidelines more. 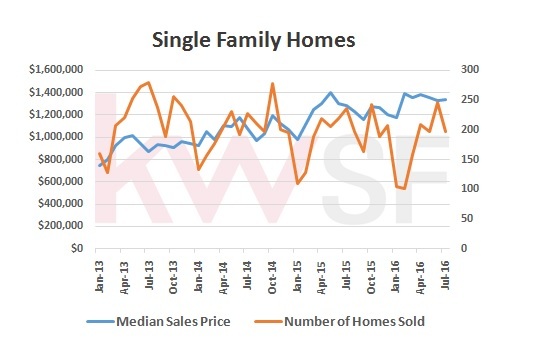 Single Family Homes New Listings dropped by 18 from June to July, 2016 and is also down 124 year-to-date from 2015. Resale Condos/Lofts is also down year-to-date, with 76, or 4.4%, fewer new listings in 2016 than 2015. Single Family homes have had 115 fewer sales in 2016 than 2015, while the number of new homes on the market has also fallen, but only by 124. Likewise, Resale Condo/Lofts have had 92 fewer sales year-to-date than 2015, while the number of new listings has also fallen, but only by 76. So, we have a less active sales market, coupled with a slight inventory build up, which leads to a larger months-of-inventory calculation.